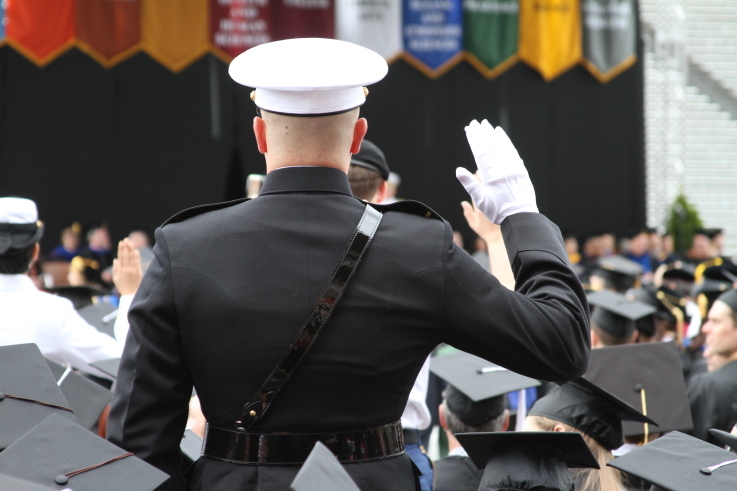 The Naval Reserve Officers Training Corps (NROTC) program was established to develop midshipmen mentally, morally, and physically and to imbue them with the highest ideals of duty and loyalty, and with the core values of honor, courage and commitment in order to commission college graduates as naval officers who possess a basic professional background, are motivated toward a career in naval service, and have a potential for further development in mind and character so as to assume the highest responsibilities of command, citizenship, and government. The Beaver Battalion develops smart, disciplined and physically fit warfighters proficient in basic naval officer skills and knowledge. We instill in our midshipmen and officer candidates the core values of honor, courage and commitment, and the core attributes of integrity, accountability, initiative, and toughness. We support our families and veterans. We strive to be one of the most respected institutions on campus and in our community. We are "The Best in the West and the Rest!"